Animals love people unconditionally, why not do the same? Homeward Animal Shelter has multiple adoptable animals for anyone looking for a pet. Every pet has a different type of personality, but when they love people, it is easy for anyone to fall in love right back. This week’s spotlighted adoptees are Brute and Coal. Falling in love with Brute’s constant smiles is not a difficult task. 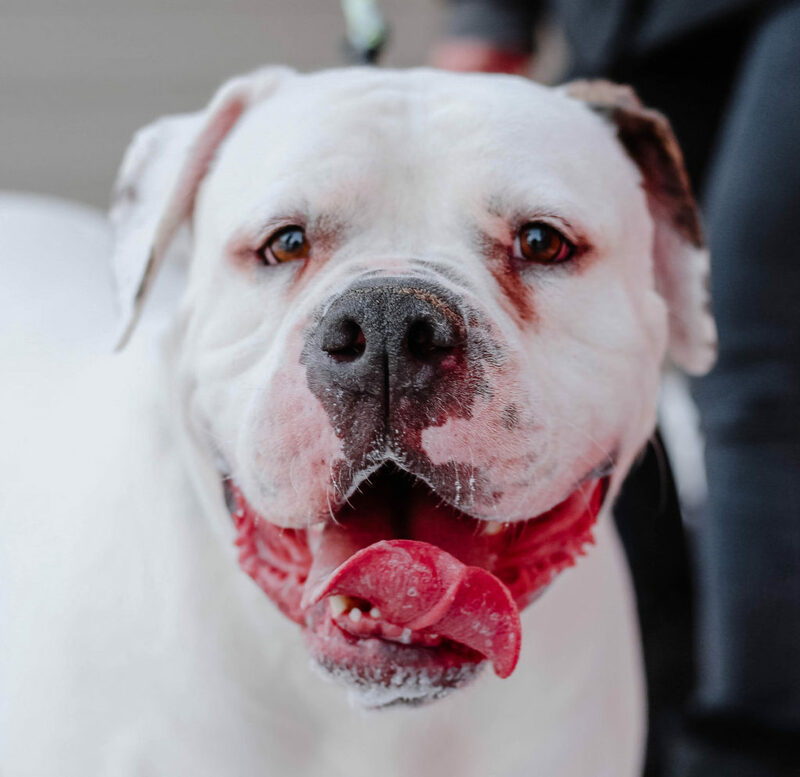 Meet Brute, an American bulldog who has been at Homeward Animal Shelter since Feb. 1. He is 2.5 years old and is a big boy. If you’re looking for a pet that loves people, he is your guy. He becomes friends with anyone he meets. His love for people is almost as equal as it is for his love of food. Although he loves dogs, he is not a cat kind of guy. But, if you have another big dog that he can wrestle with, he would have a lot of fun. He takes in all of the little things in life and does not fret on the big things. Pet Coal’s soft fur and he will never leave your side. 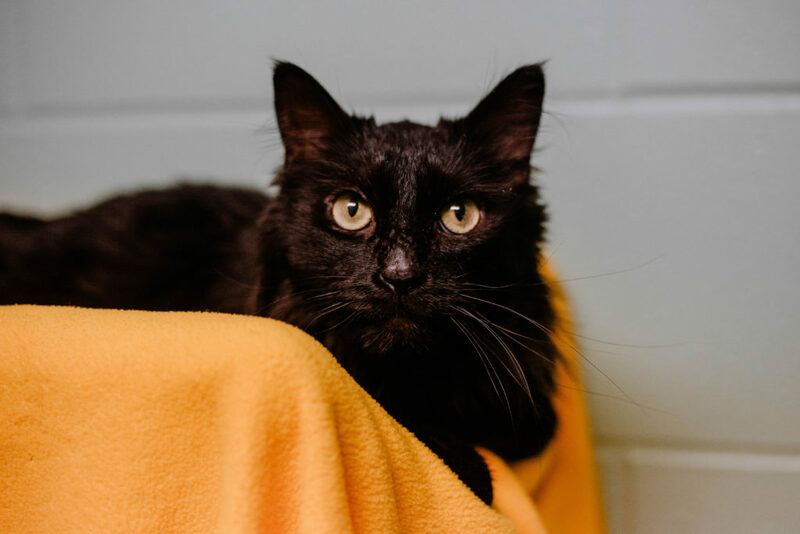 Meet Coal, a 3-year-old domestic shorthaired black cat. He arrived at Homeward Animal Shelter Jan. 14, so he is definitely ready for his forever home. When he first arrived at the shelter, he was underweight and in poor health, but through their care he has become a totally different cat. He got his ultimate glow up, with food, love and patience. He is an attention hog now, especially if it involves getting extra snacks. He loves people and other cats, so he is a perfect new addition for any home looking for another cat. He is a relaxed boy who goes with the flow, and as long as you pet him or brush him he will be satisfied with your home.